Love this banner…not my own work I’m afraid..but that of Two Chikkadees…. 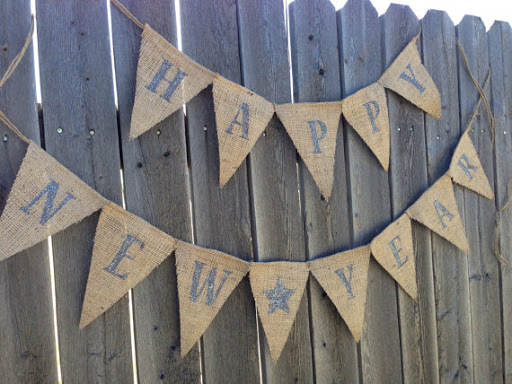 So, 2013 is here already. T has been back at school for a week, I made it back to the gym (only once but hey, it’s a start) and I’ve completed my first couple of orders of the new year. 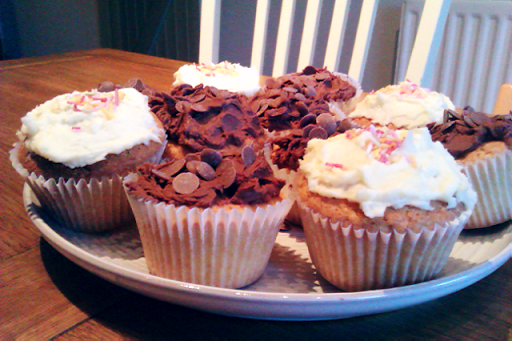 We had cupcakes to celebrate this afternoon…..
Not the most beautiful of cakes but they tasted good! I am full of admiration for the talented individuals who can decorate cupcakes with style and finesse, producing the most amazing works of art. My problem (combined with the fact that I’m just not very good at it! ), is impatience . I am such a lover of CAKE in it’s many forms, that I always hurry through the icing process to enable me to eat them as soon as humanly possible! Last weekend I did a bit of fabric sourcing for a drawstring bag order. There are so many gorgeous new Spring/Summer prints already appearing, that I’m really excited about using them for projects that I’m going to start working on in the coming weeks. 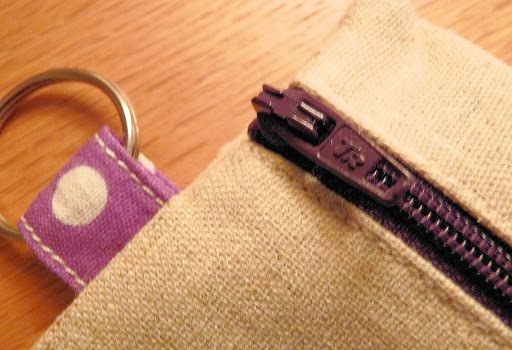 I have lots of ideas for some more textile home-wares….doorstops, table mats, coasters, floor cushions and beanbags. 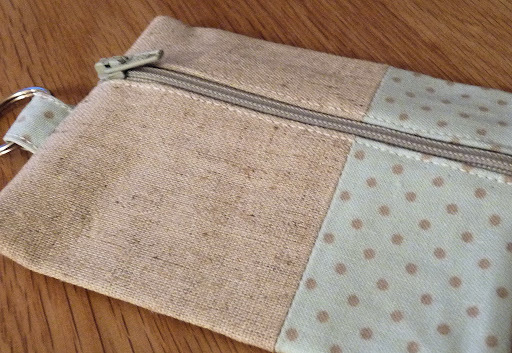 I also want to develop some protective fabric covers for mobiles, iPads/tablets and Kindles; and of course, I will be making more of the zipped pouches, coin purses, tote bags, cards and personalised children’s gifts that I’ve really enjoyed making recently and have proven pretty popular. 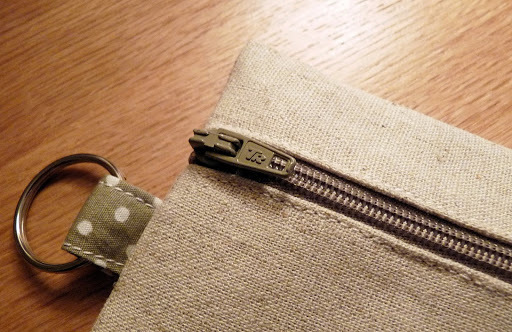 Over the coming months I also want to look into producing more ‘stock’ items from my ever-expanding fabric stash, with the aim of setting up an online shopfront via Folksy or Etsy. With this in mind, I feel I need to develop my ‘house style’ when it comes to photographing my work. Consequently the images that appear on my blog may change from time to time whilst I experiment with different options. Phew! Sounds like I might be busy…and perhaps need a few extra hours in the day…. Anyway, before this drags on too long, a little note about the orders I completed this week. 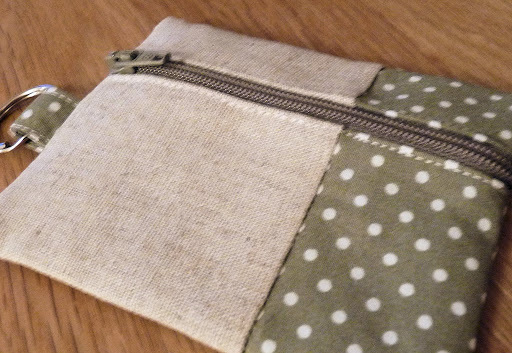 Firstly there was a bag which was made as a gift for a friend of a friend & their new baby boy, Monty. 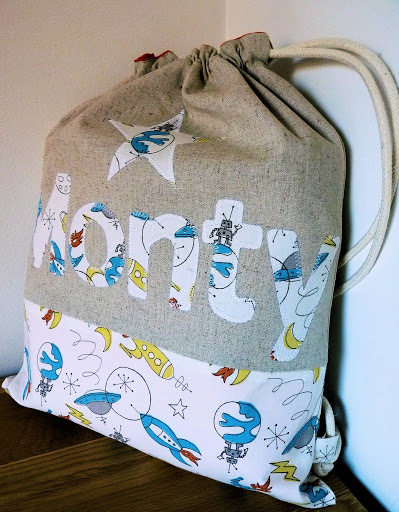 These drawstring bags work really well as new baby gifts as they can initially be used as useful storage for nappies, muslins, accessories, clothing and then as the child grows up, they can become toy bags or kit bags for nursery/pre-school. 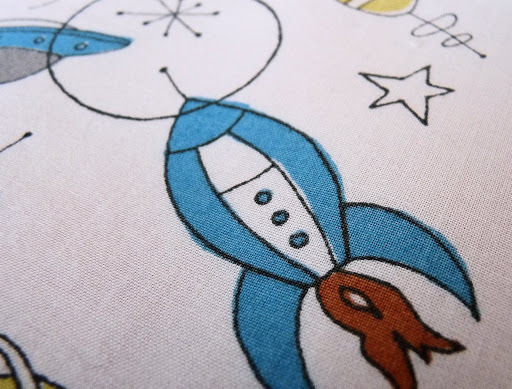 I found this really fun fabric from Birch Organics which I thought was perfect for a little boy and the neutral colours will work with most bedroom decors/tastes. 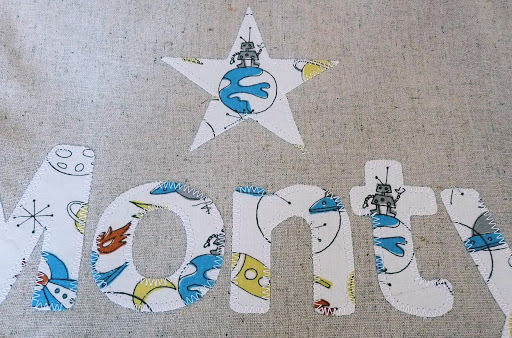 I used my favourite natural cotton/linen base fabric and then personalised the bag with Monty’s name and a cute star that make a feature of the little robot. The bag was lined with a bright, bold orange cotton to match the flames coming from the rockets. 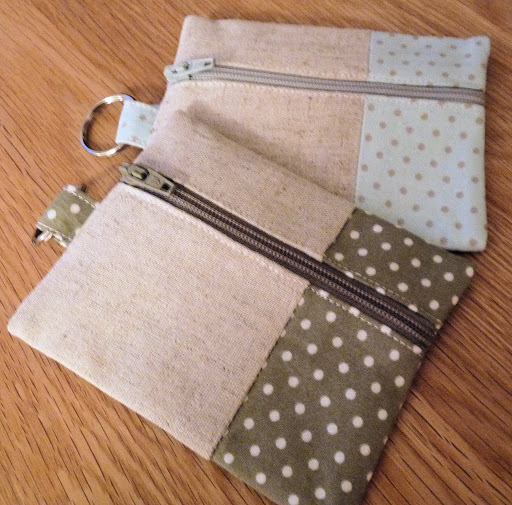 …and finally, I also made a little collection of ‘spotty’ coin purses this week. 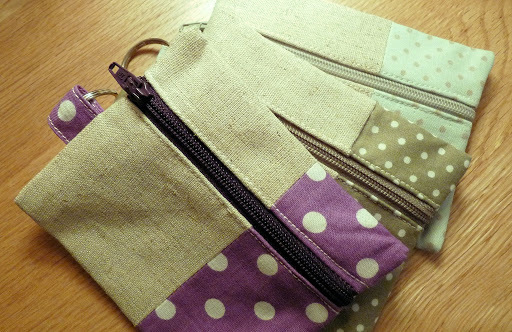 These were little ‘thank you’ gifts that a friend requested.